A movie fan named Prayush Khadka posted a photo on Twitter that appears to show Marvel's Doctor Strange filming on location in Nepal. There's no way to confirm if this pic is legit, but it certainly looks like star Benedict Cumberbatch (on the left, in the dark coat). 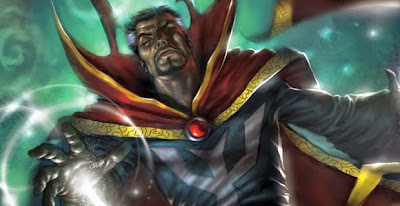 Doctor Strange is targeted for a November 4, 2016 opening. Check out the pic and make up your own mind.